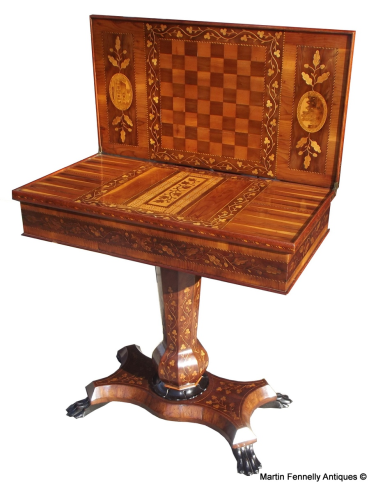 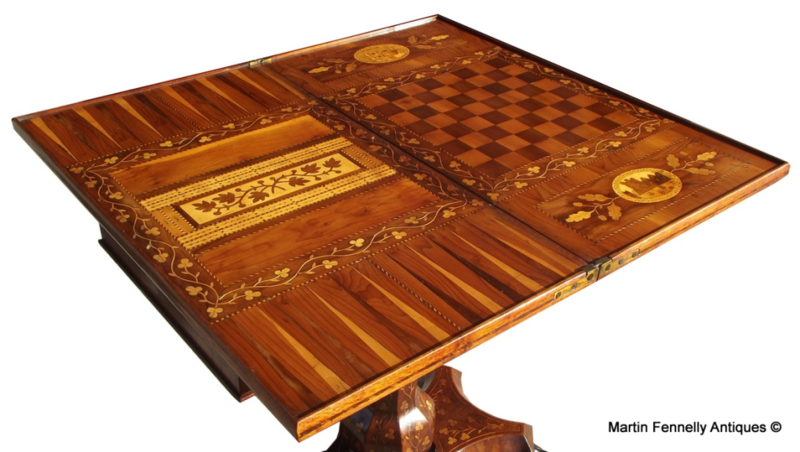 Killarneyware Table Circa 1870 - Museum Quality This piece of Irish History is truly Stunning and in some expert opinions, the best Killarney Games Table currently for Sale. It was made in Co Kerry Ireland in the late 19th Century. 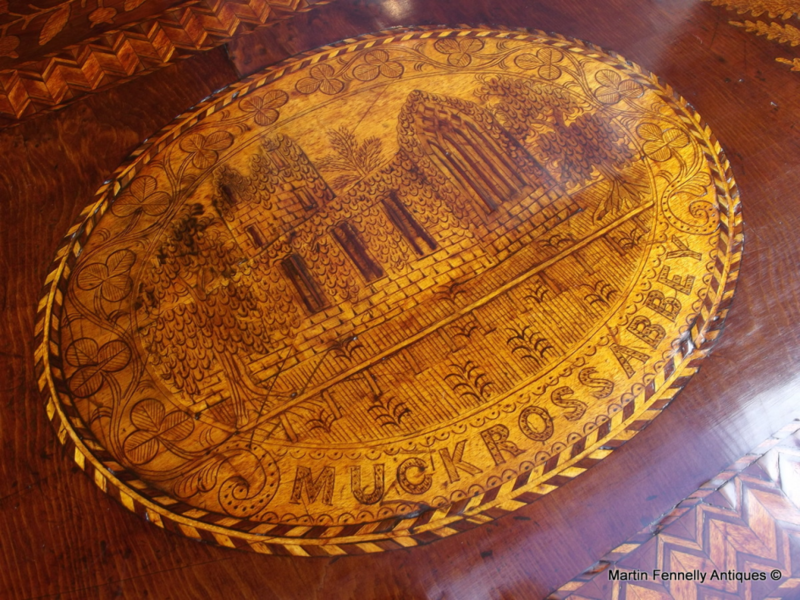 It is constructed from Arbutus and Yew Wood and has the full spectrum of Iish Imagery. 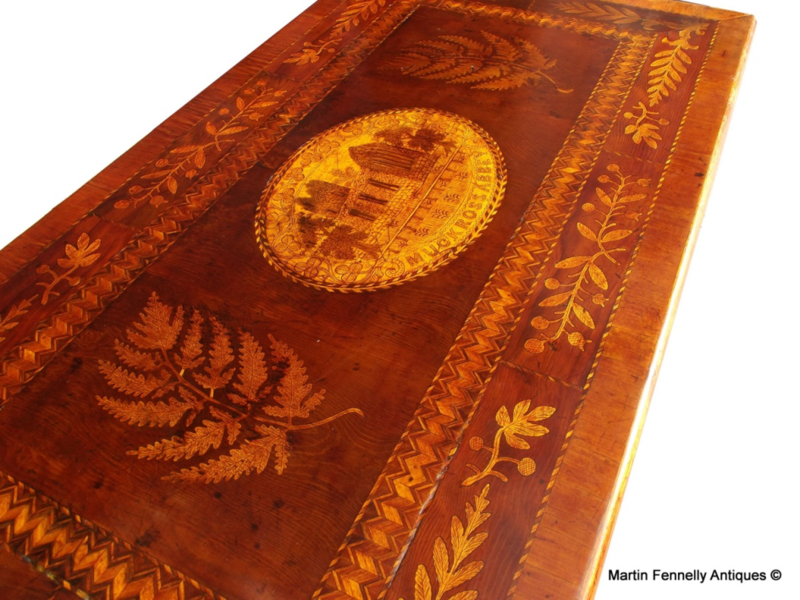 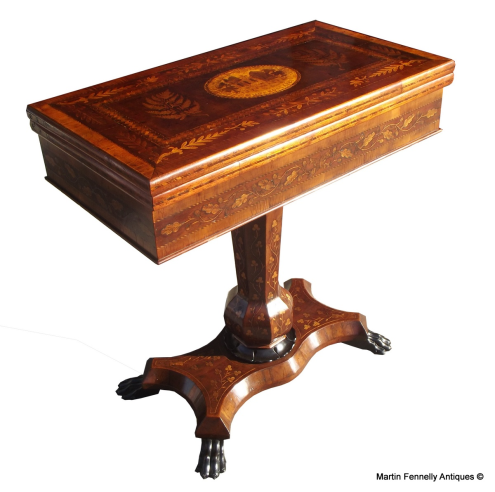 The Table is in full original condition and was recently Cleaned and Waxed by our restoration experts. When it comes to a beautiful piece of Irish Furniture and also an investment item these pieces of Killarney are perfect, especially when they are as detailed as this one. 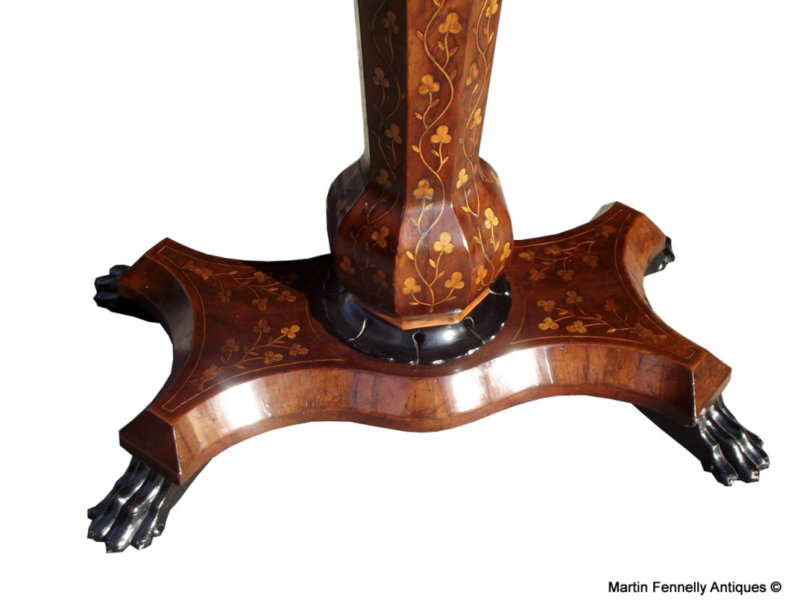 There is super detail on this piece and this puts this Table way above some plainer pieces that you may find.